During last week's episode of Carpool Karaoke, things got very emotional when singer, Michael Bublé, who was the guest, talked to host James Corden about his son's struggle against cancer. It was all upbeat at first, when both James and Michael sang some of the singer's most popular hits like "Haven't Met You Yet." Things soon turned somber when James asked about Michael's 5-year-old son, Noah, who was diagnosed with liver cancer in 2016, when he was was only three years old. James began by acknowledging that Michael must have had a very tough experience in the last few years, as he and his wife had to live through "every parent's worst nightmare." The singer admitted that it was a very difficult topic to talk about. Hearing that diagnosis was devastating, he explained. It's so hard to acknowledge it because it's so painful to talk about. But we got the diagnosis and that was it man, my whole life ended. In the interview, Michael revealed that at the time Noah was being treated, he and his family had to move to Los Angeles so they could be close to the hospital. Thankfully, Noah is doing much better now. The father urged everyone to donate to Stand Up to Cancer, an organization working towards raising funds for cancer research. 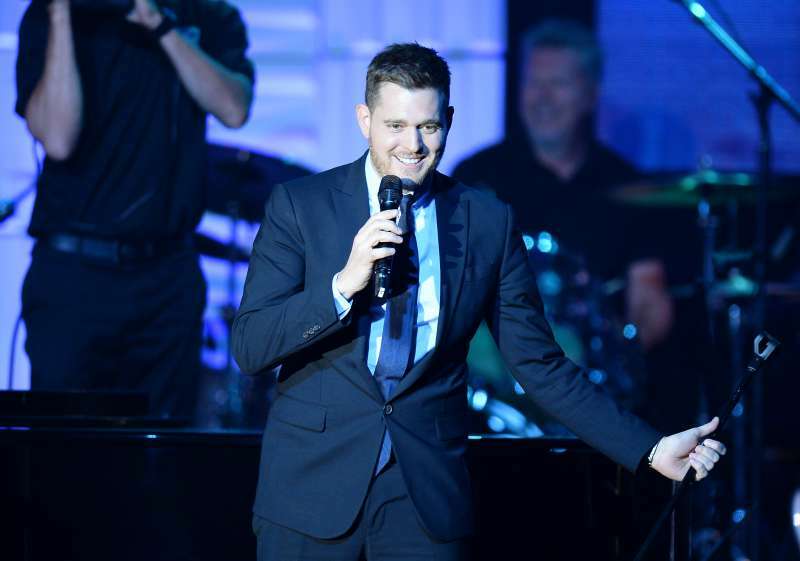 Michael Bublé has previously opened up to ET Canada's Cheryl Hickey about how his son's cancer battle changed his life. At the time of hearing about Noah's diagnosis, he knew he needed to take a step back from music and he did believe he was never going to return. I figured that I wouldn't (return). It became so clear that none of it was very important. And what had become important to me for many years was the wrong thing. When a person goes through the pain and fear of watching their child battle such brutal disease as cancer, it can give life a whole new meaning. For Michael Bublé, he has become more grounded and cares more deeply about those in his instead of records sales.